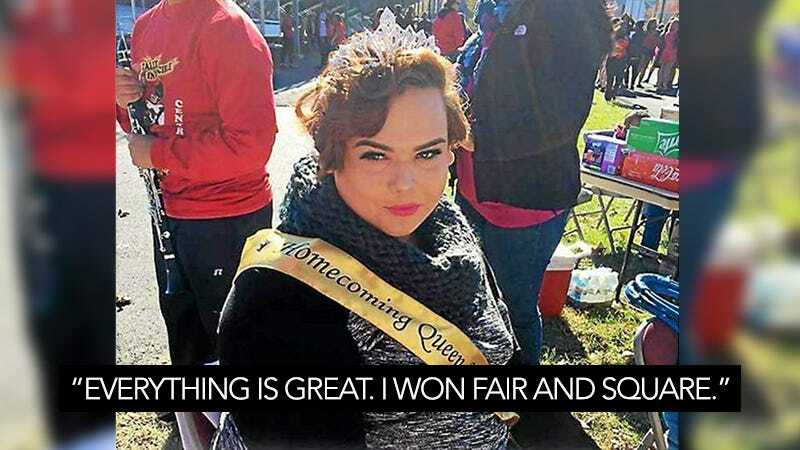 A source who works at TCHS and asked to remain anonymous out of fear of retribution said the teacher who was in charge of the voting process for this year’s homecoming court failed to properly oversee the votes, which allowed students to stuff the ballot box as an alleged practical joke. And though Ray ends the piece by claiming “attempts to reach the transgender teen and her parents were unsuccessful,” Irizarry told me over the phone Tuesday afternoon that neither she nor her mother were ever contacted by The Trentonian. “[That claim] is very false, as far as I’m concerned,” she said. But despite the baseless accusations of voter fraud published by her hometown paper, Irizarry tells me she has experienced overwhelming support from TCHS students and staff. I emailed Ray asking for comment on his initial report, and received an auto-reply suggesting that he is currently on vacation. Image via Jae Irizarry, used with permission.